The moment you’ve been waiting for has finally arrived. Today, CBS All Access released the first trailer for the upcoming series Star Trek: Discovery. The latest installment in the sci-fi franchise is set 10 years before the original Star Trek series. The cast includes Jason Isaacs, Mary Wiseman, Sonequa Martin-Green, Rainn Wilson, Doug Jones, Anthony Rapp, Michelle Yeoh, and James Frain. Star Trek: Discovery is slated to debut on CBS All Access this fall. What do you think? Are you a fan of Star Trek? 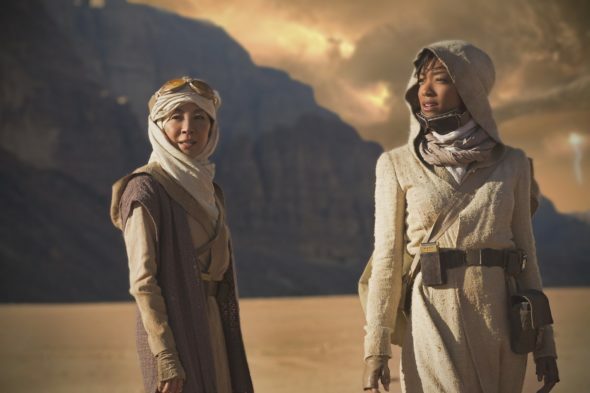 Will you watch Star Trek: Discovery? CBS can’t have it both…they can’t be a TV network and a pay for streaming service! I love Star Trek, but I will wait for a format where I don’t feel completely conned. I am not making any decision now…I am an original Star Trek series fan, and also a fan of the new Star Trek movies. Most of the “knock-offs” of the original series have not appealed to me. I hated Star Trek NG. Star Trek Enterprise was okay. The others I didn’t bother to watch. I will probably watch the first episode and that will be enough for me to either hate it or be a fan. Kirk and Spock are a hard combination to beat. The captain looks like she just got out of college, modelling college. hard to imagine someone that young in this role. Of course, in this universe the toughest, strongest people are skinny young models. Dissapointed. At least Kate Mulgrew looked believable in her role. Maybe someone like Viola Davis. Asian captain and black female “Number 1” now…I could have called that one being that it’s on CBS. Where’s the gay dude playing the comic relief? Gotta check all the boxes if you’re going to be on that network. I love the irony in this… a “CBS All Access” show and I can’t watch the friggin trailer because CBS has their youtube channel region locked. Classic.